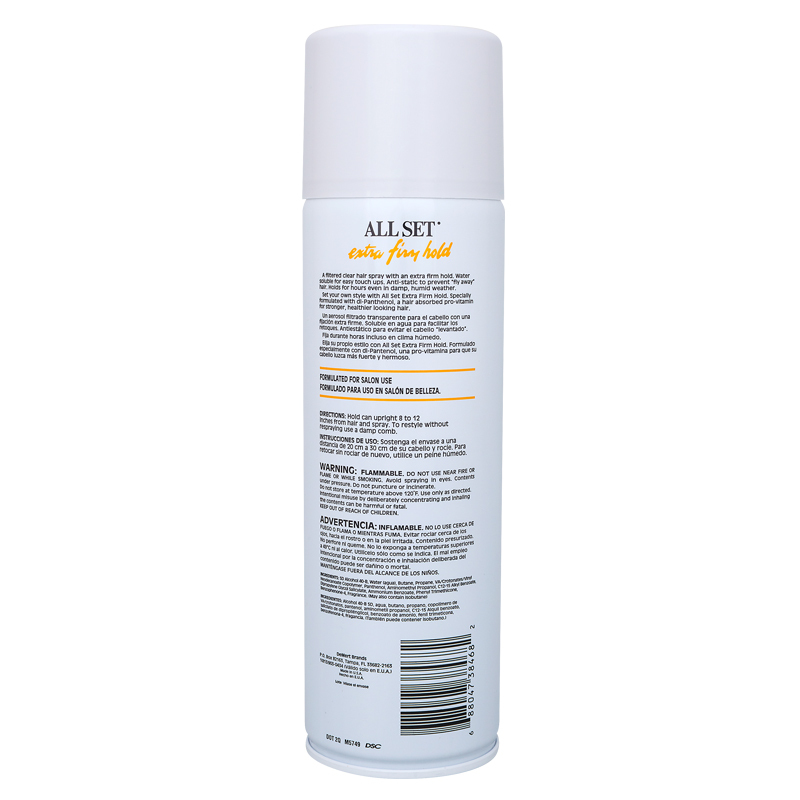 A filtered clear hair spray with an extra firm hold. Water soluble for easy touch ups. Anti-static to prevent “fly away” hair. Holds for hours even in damp, humid weather. Set your own style with All Set Extra Firm Hold. Specially formulated with dl-Pantheol, a hair absorbed pro-vitamin for stronger, healthier looking hair.